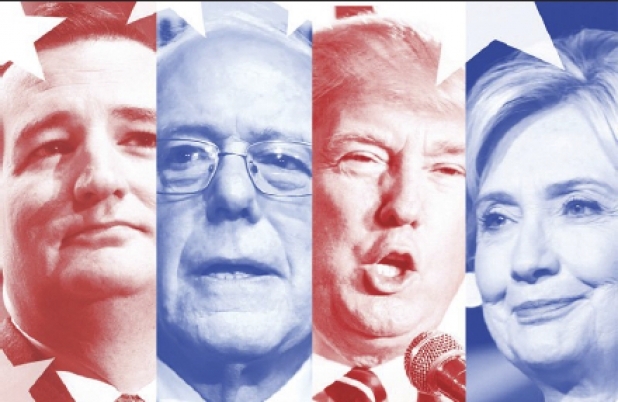 What Can L&D Learn from the Presidential Race? When engaging with C-Suite, L&D leaders often experience challenges similar to those the presidential candidates are facing. With the presidential campaign in full swing, candidates are challenged to remain relevant, stay in the race, and advance their agendas in an environment overwhelmed by candidates. L&D leaders often experience these same challenges when engaging with the C-suite. Watching the presidential campaign maneuverings presents business leaders with a real-time strategy lab to identify tactics that work, determine why others failed, and apply those insights to their own careers to ensure their message is heard above the chatter. “Winning leaders communicate a great purpose,” says Lawrence Polsky, co-founder of teambuilding and coaching firm Teams of Distinction. “Donald Trump’s slogan, ‘Let’s Make America Great Again,’ captures that,” Polsky says. It’s understandable and repeatable. It’s important that L&D leaders have that same clarity, distilling their message to its key elements. Sanders’ and Trump’s statements in the debates have catalyzed discussions. That’s true in business, too. “Two-thirds of employees say higher purpose motivates them to go the extra mile,” Polsky says. When L&D leaders can articulate an aspirational goal and connect it to specific steps employees can take to reach it, they inspire action. For business leaders, courage is demonstrated by their continued pursuit of aspirational goals such as winning a hard-to-get client or developing a disruptive technology even when the best and brightest say it can’t be done—and then succeeding. For that commitment to work, leaders must understand their audience, but they also must consider the consequences. The message for L&D leaders is to consider the big picture. Focusing strictly on one element of a program may resonate with leaders from that discipline, but when pitching the C-suite, consider concerns such as expenses, returns, capital usage, and opportunity costs. Candidates this year have access to unprecedented amounts of data detailing voters’ habits and personal preferences, right down to their health status and choice of phones. They are using it to tightly target their messages. Social media is an important delivery vehicle. For instance, Clinton and Trump each have four to five times as many Twitter followers as their next closest rival. Chris Christie bumped up support last autumn with a Facebook video discussing drug addiction. Ted Cruz’s campaign includes a mobile app that gamifies user support. It’s important to match the media to the audience and the message, though. “Social media is a wonderful connector of people, but it’s not a good forum for substantive debate or for complex content,” Senft points out. By January, all the governors remaining in the campaign at that time (Bush, Christie, Gilmore, Huckabee, Kasich, O’Malley, and Pataki) were trailing in the polls. “Those with experience become victims of the process,” Senft says. By espousing the practicalities, they failed to develop aspirational messages that inspired voters. L&D leaders run the same risks if they become mired in the mechanics of training and neglect to generate excitement among learners. “Beliefs often overpower facts, so leaders try to create strong beliefs among their followers and then move forward based on those beliefs. Once people support you, it takes a lot for them to turn on you,” Polsky says. Clinton, Trump, and Rand Paul each benefited from exceptionally loyal followers. They understand their supporters’ expectations and, therefore, know how to motivate them. Being transparent about failings helps leaders minimize any fallout by discussing them and then moving on. Denials and the slow release of details only prolong the agony. A Bell Leadership Institute survey of 2,700 employees found that a sense of humor was one of the two most mentioned attributes of good leaders. In the first Republican debate, Carly Fiorina apparently forgot that fact and appeared painfully severe. Soon afterward, she released an old photo of herself and her young daughters posing in a bubble bath to highlight her fanciful side. Business leaders needn’t go that far, but the ability to laugh does make them more approachable. Approachability goes hand-in-hand with authenticity. Donald Trump's direct, not-politically-correct comments were considered political suicide but nevertheless have gained him a loyal following. “Hillary, on the other hand, has issues with authenticity,” Senft says. “She’s tried over the years to present herself as easygoing and likeable. In reality, she’s intense and ambitious. People sense that and have a difficult time accepting her” when she tries to be something she isn’t. That’s true for organizations, too. Be who and what you are. Dr. Carson understands this. When challenged for his lack of foreign policy experience, he didn’t deny it. Instead, he traveled to Syria to meet refugees and then publicized a plan to deal with the crisis based on knowledge gained from that trip. Ideally, authenticity is accompanied by passion. Trump has both, and jibed Jeb Bush for his seeming low energy. “Passion is hard to teach,” Polsky says. “Candidates get into trouble when reacting. Usually they are trying to oversimply complex issues,” Senft says. Trump’s comments regarding temporarily banning Muslim immigration, for example, outraged candidates and pundits alike. In the meantime, rivals Marco Rubio and Ted Cruz gained followers by embracing the complex issue with nuanced approaches that don’t fit into a sound bite. The lesson for L&D leaders is to take time to think through complex issues before responding. When the CEO corners you in the elevator, “Let me think about that and get back to you,” is a perfectly reasonable response. Distill your message to key elements. Provide teams with audacious goals. Use social media to connect but not to share complex content. Don’t get mired in the mechanics and forget the engagement factor. Think first and react second.